For a great Quiz you need great resources. 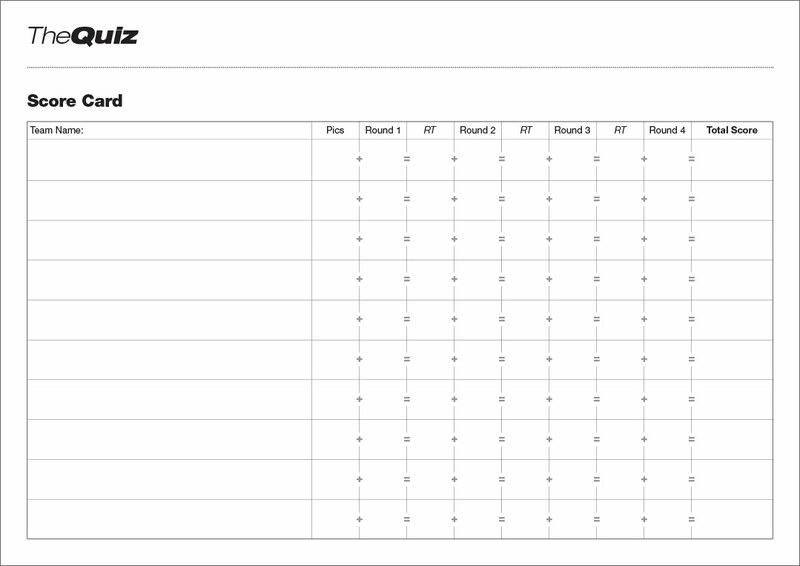 On this page we have the Score Cards for the QuizMaster and the Answer Sheets for the contestants. 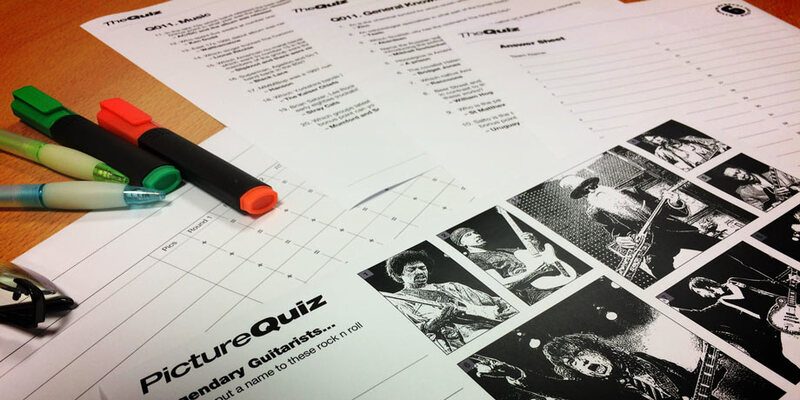 So if you are following our format of a Picture Quiz plus Four Themed Rounds these printouts are perfect for your Quiz and there’s no charge for the downloads! 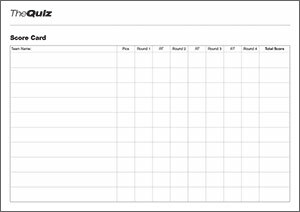 There are two types of QuizMaster Score Cards, the Standard and the Pro. 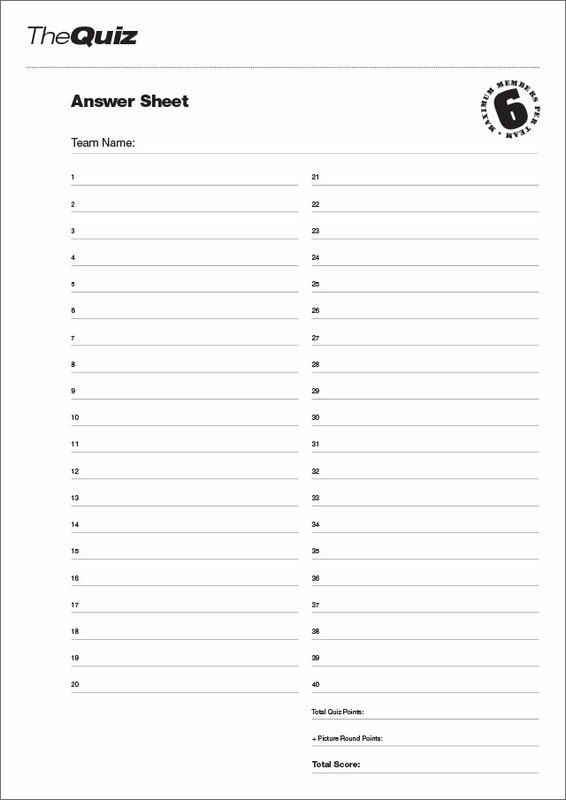 The Standard has the reminder + and = to keep you right about the score, and believe me if it’s a busy Quiz night this can help to keep you on track! In this Quiz Score Card example we have the brilliantly named ‘Exeter Gently’ scoring a decent 9 in the Picture Round and an okay 7 in the first question round to give them a running total (RT) of 16, whereas Quizzy Rascals only manage an eight in the Picture Round and a six in the first round to total 14. The running total (RT) is used to keep the teams up to date on how they are faring throughout the Quiz (I’ll be writing a post on how to run this four round Quiz soon, check back for updates). As you progress through each round the scores are added and the running total updated until the final Total Score gives you the winner. Both score cards are Acrobat PDF files. If you don’t have Adobe Acrobat Reader go here to download. This sheet is handed out to your contestants. 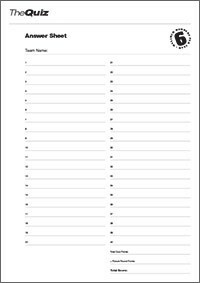 It has the 40 numbered spaces for your Quizzers to enter their answers to the four rounds of ten questions plus a space to enter their picture round score in order to cross check their final total. 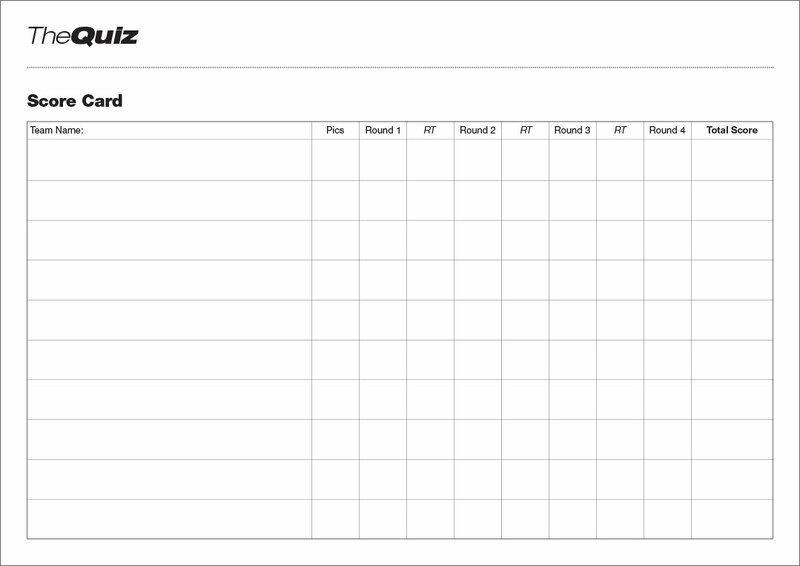 These sheets are handed in after each round of ten for the QuizMaster to check and add the scores into the Score Card Above.